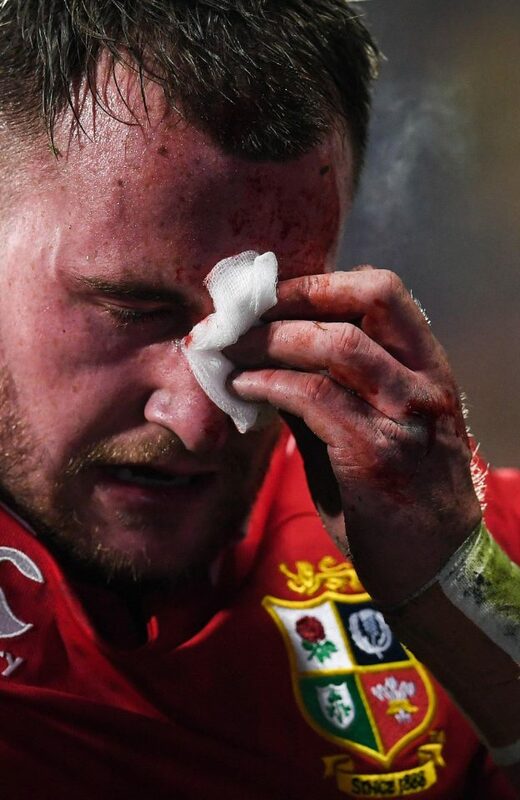 Scotland fullback Stuart Hogg was forced off the field just a few minutes into the Lions’ game against unbeaten Super Rugby side the Crusaders after receiving an accidental elbow to the face from team mate Conor Murray. The Six Nations Player of the Championship, who was looking to stake his claim for the test jersey after a poor opening performance against the Barbarians, had started brightly and looked to be asserting himself under the high ball with 2 strong takes. Unfortunately, whilst chasing his own kick, he ran into a trailing elbow from Murray that cut his eye and left him looking dazed and more than a little confused. He was taken off for treatment to the cut, but didn’t return following a HIA, leaving his test chances in serious doubt. As one of just 3 Scots on tour and the most fancied to start on the 24th of June, fans will be hoping he can recover quickly and get a chance to show what he can do. Will this hurt his chances? Do you think he can recover in time? Let us know in the comments below. Hope you heal quick Stuart. What a daft question! How can anyone answer that before there’s more news of his injury? Not long since he was on the receiving end of Itoje’s ill-timed block. This time, he’s been unlucky to get Murray’s elbow in his face. Hopefully he recovers quickly and can join the fray. He deserves his place in the Lions test team.